The Schools Council, set up as a result of the report of the Lockwood Committee, met for the first time in October 1964 under the chairmanship of Sir John Maud, Master of University College Oxford. Change and Response was the Council's report on its first year of operation. Change and Response was prepared for the web by Derek Gillard and uploaded on 8 April 2017. What should our school-children be taught in years to come? How should they be taught and how examined? These are the questions that the Schools Council exists to ask and help to answer. That is why most members of the Council are practising teachers, drawn from every kind of school, and why our membership also includes people who teach in Universities and Colleges of various kinds, But school-teaching is of course a partnership between professional teachers and society, and the Schools Council therefore has a strong minority of members drawn from the other partners from representatives of the community and of those who find the money, and from all who have an interest in the kind of citizen and worker that emerges from the schools. In fact, though we have no right or wish to lay down laws on anything, we are a kind of Parliament of Education, each of us (except the Chairman) owing his membership to the wish of his constituents. So we are no bunch of stooges. We have our own headquarters, our name-plate on the door, our own budget and our own full-time staff. It is our own fault if we fail. If we succeed (and we mean to), success will be a long-term process of fostering a new dynamic in the schools. And this dynamic will take effect only as new ideas of what to teach and how to teach are tried out in class-rooms up and down the country, and as examinations come to be recognised by all concerned as part and parcel of the teaching process and are so modified that they become the servants of the educator. The Council is only a year old but we have begun to move towards our goal. What follows is a report on work in progress. I ask all readers, especially the parents and the teachers, to take it as a pledge that we mean business and to regard us as their humble but determined allies. Chairman of the schools Council. 1. The Schools Council for the Curriculum and Examinations - or the Schools Council, as it is now generally called - grew out of a recognition by all branches of the education service that co-operative machinery was needed to organise a more rapid, and more effective, response to change. 2. Change was widely apparent - in the aims and methods of scholarship, in the social and economic objectives of education, in the attitudes of pupils and their parents, in knowledge of the learning process itself. The schools were keen to respond to these and other changes in their terms of reference. But resources for research and development were inadequate. And there was a need for new machinery which would help the schools to respond to change in harmony with their other partners in the education service. 3. The problem was remitted, in July 1963, to a working party widely representative of the education service, which sat under the chairmanship of the late Sir John Lockwood, whose recent death is a great loss to the service. The outcome was the Lockwood Report, recommending the establishment of what is now the Schools Council. The recommendations were unanimous, and were unanimously accepted by all the bodies represented on the Lockwood working party. The Secretary of State for Education and Science was asked to appoint the first Chairman of the Schools Council, and to take the other steps necessary to bring the new body into being. 4. The Council met for the first time in October 1964 under the chairmanship of Sir John Maud, G.C.B., C.B.E., Master of University College, Oxford. Its first tasks were to complete its constitution and membership, following the guide-lines laid down in the Lockwood Report; to assume responsibility for most of the curriculum and examinations work previously carried out by the former Secondary School Examinations Council and by the Curriculum Study Group of the Department of Education and Science; and to decide on its own initial programmes of activity. 5. The constitution and membership of the Council are now largely complete. Some co-options remain to be made, and a number of the Subject Panels of the former Secondary School Examinations Council await reconstitution as Subject Committees of the Schools Council. The present members of the Council are listed in Appendix A, and the Council's committee structure is shown schematically in Appendix B of this report. much work of the kind which the Council exists to sponsor was already in hand when the Council first met. 7. Moreover, the Secondary School Examinations Council handed over to the new Council a solid legacy of work in preparation for the new Certificate of Secondary Education examinations, and of preliminary thinking about the development of sixth form curricula and examinations. And most of the members of the former Curriculum Study Group joined the staff of the Council, bringing with them experience of working closely with the Nuffield development teams and of service to the Secondary School Examinations Council. 8. Part of this report therefore records the development during 1964-65 of work for which the Council assumed, at its first meeting, responsibilities previously discharged by other agencies. English: a far-reaching and necessarily long-term programme of research and development in the field of English teaching. Preparations for the raising of the school leaving age: a programme of enquiry, research and development designed to help the schools, and others concerned, to respond to the coming challenge of a five-year course of secondary education. Sixth form curricula and examinations: a programme of enquiry, research and development designed to provide the basis for new patterns of sixth form work, with the flexibility required to meet contemporary needs. 10. A second main part of this report therefore describes the development of these three major programmes during the past year, together with some of the Council's ideas on ways of making possible co-operation between all branches of the education service in carrying them forward. For perhaps the most important aspect of the Council's approach, as it has .taken shape during a year largely devoted to the talk and paper work inevitable in the preliminary stages of planning major programmes, is its determination to develop practical aids to good teaching, carried out by and for teachers, and rooted in classroom realities. This demands much more than co-operation at the centre between national organisations. Even more important is the extent to which the central cooperative machinery can stimulate, encourage and support local arrangements for co-operative thinking and development, carried out by teachers, but assisted by their local education authorities, the institutes of education, the examining boards, the universities and others concerned. 11. There is general agreement that difficulties in communication lie at the heart of much educational and social wastage. As the first step towards a fundamental study of the teaching of English, the Council considered a preliminary statement of long-term scope and content prepared by the English Panel of the former Secondary School Examinations Council with the help of H.M. Inspectors of Schools. This panel has since been reconstituted as the English Committee of the Schools Council, and will be responsible for advising the Council on the implementation of the English programme. Subsequently, the Council agreed to publish a description of the project in the Working Paper series and to invite the comments of all concerned. This paper will be published in the autumn of 1965 (Working Paper No.3: 'English'). 12. Meanwhile, the Council has commissioned surveys of the present position of English in the curricula of schools and colleges, and of attitudes towards English and English teaching held by pupils, parents and teachers. The Council has also established a small working party to advise on the design of a research project on problems of communication: for example, what constitutes the ability to communicate at various ages, for different purposes, and for different social groups? This research is seen as the core of the English programme, informing and relating other research concerned with particular aspects of the ability to communicate (e.g. speech, reading, writing), and providing a firm foundation for the subsequent development of new approaches to the teaching of English. 13. The Council has also commissioned a preliminary enquiry into the teaching of English as a second language to immigrant children. It is hoped that the enquiry will identify the most pressing needs and suggest what further practical steps should be taken to help local education authorities and teachers improve the arrangements made for these children. The study is being carried out by Miss J. Derrick, of the University of Leeds. It is expected that the results of the study will be available early in 1966, so that further action shown to be necessary can be put in hand without delay. 14. As a whole the English project should be seen as a ten-year programme of research and development, initiated and co-ordinated by the Council, but progressively involving the active participation of more and more teachers of English and research workers in schools, colleges and universities, and supplementing work already in hand. In particular, it is proposed to establish links between the English programme and work with which the Council is already associated, such as the Nuffield sponsored project in linguistics and English teaching at the Communications Research Centre, University College, London, where the research team, directed by Dr. M. A. K. Halliday, already contains four practising teachers. 15. It was also decided at the Council's first meeting to put in hand, as a matter of urgency, a major programme in preparation for the raising of the minimum school leaving age in 1970-1. The object is to help the schools and others concerned to turn an act of faith into an established success. 16. The programme has since been planned in two main parts. Research and enquiry are needed to provide the data on which to base new approaches to curricula, courses and examinations. Secondly, development work, carried out by and for teachers, is needed to produce new five-year courses of secondary education, together with appropriate teaching materials. 17. Many of the problems involved are of considerable complexity, and it is clear that the programme will not be a success unless the education service as a whole shares in the task of shaping it, and of carrying it through. The Council has therefore decided to publish its first thoughts, even though many of them have no higher status than that of a preliminary essay towards an understanding of the problem, and to invite comments from all concerned before deciding how best it can support the work of the schools. This will be done towards the end of 1965 (Working Paper No .. 2: 'Raising the school leaving age '). But the Council also hopes that this document will be accepted as a starting point for the work of the school-based local centres of thought, study and experiment which, it is hoped, local education authorities and Institutes of Education will be ready to establish and support. The Council sees its own role as that of providing points of departure, and a continuing support, for local school-based activity. It has no intention of producing blue-prints, or tablets of stone. 18. The aim of the enquiries is to supply the education service with information needed for the effective planning and conduct of five-year courses of secondary education. In particular, the Council will seek to collect, and make generally available, information about the means of engaging the pupils' interests, motivation and sense of relevance of the work they are asked to do, together with such other data as will help the schools to cater for the needs of individuals in harmony with those of the community as a whole. (j) Is there a case for extending the school day? (m) Should all school leavers have the opportunity to acquire evidence of attainment and, if so, what form should it take? (n) The response of the schools to social and economic change. 20. By the end of the Council's first year of work, action had been initiated under all the above heads of enquiry. The next paragraphs describe some of the more important work now in hand. 21. The National Foundation for Educational Research has been commissioned to prepare a map of the data already available, drawing on sources both at' home and abroad, together with recommendations on the means of filling the more important gaps in knowledge. The Council hopes to use the map, which should be ready in the autumn of 1965, both to inform its own work and to supply information which local groups of teachers and others may find helpful as they begin to make their own response to the challenge of a five-year course for all. 22. The Government Social Survey has been commissioned by the Department of Education and Science to carry out, on behalf of the Council, a major enquiry into the attitudes of parents, teachers and pupils. 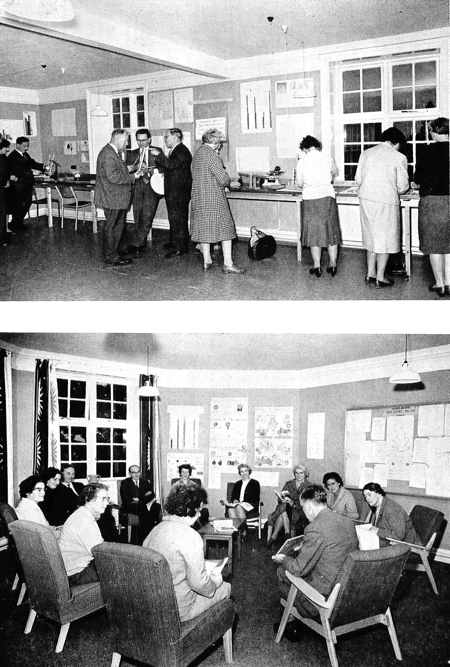 .The Social Survey's planning has reached an advanced stage and the main interviews are being conducted during the autumn term, 1965. Former pupils, as well as those still in school, will be interviewed. The material produced by the Survey, which is expected in spring, 1967, is likely to influence the schools' assessment of the factors which determine their pupils' attitudes towards 'school' and 'education '. 23. The Council has co-operated with the Confederation of British Industry and the Essex, Glamorgan and Manchester local education authorities in running three experimental 'introduction to industry' courses for experienced teachers of senior secondary pupils. The object of the courses, which were pioneered by the former British Employers' Confederation in association with the Staffordshire local education authority, was to enable teachers to gain firsthand experience of the work done in industry and commerce by young school leavers and to enable industry and commerce to acquire deeper insight into the aims and problems of the schools. The Confederation also organised two similar experimental courses in Scotland. All five courses have been evaluated, and the Council expects to publish the results in its Working Paper series. If the assessment is favourable, it is hoped to make' introduction to industry' courses available to teachers generally. 24. The Council is arranging a conference of about 60 educators, economists and sociologists to discuss the educational implications of social and economic change, probably in March, 1966. 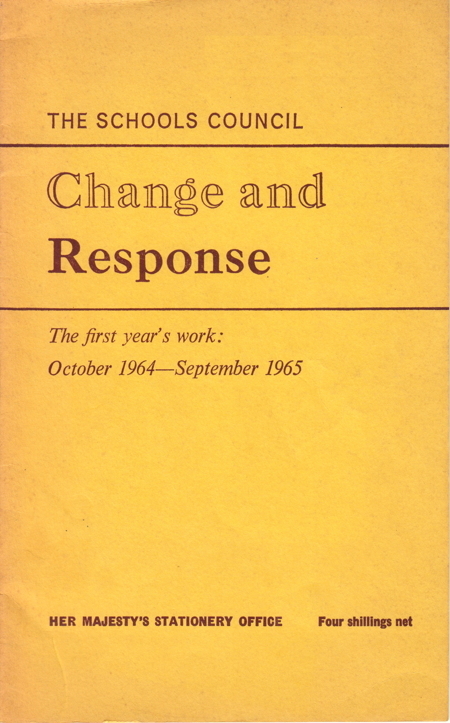 The object of the conference, a record of which will be published in the Council's Working Paper series, is to discuss the processes of social and economic change, and the part schools can play in preparing their pupils to respond rationally and responsibly to the continuing challenges to personal judgement which change involves. (b) A study of the needs and satisfactions of the young adolescent in relation to self and school, by Professor J. W. Tibble of Leicester University School of Education. Other research was under discussion at the end of the year, including the possibility of extending the study of the effect of environment and social factors on educational attainment and school progress, undertaken on behalf of the Central Advisory Council for Education by Professor S. Wiseman of Manchester University School of Education. 26. The Council intends to publish the information flowing from its enquiries as it becomes available, for the benefit of local groups of teachers and others concerned. A more general report on the leaving age programme will be prepared as soon as possible. 27. In the time available, it will not be possible to await the completion of a full programme of research and enquiry before beginning the development of new five-year courses of secondary education. A start must be made at once, on the basis that the results of research and enquiry will progressively inform and refine the development work. The Council has therefore begun work in a number of subjects, in some cases jointly with the Nuffield Foundation and in other cases acting on its own initiative. Further, a main object of publishing Working Paper No. 2 is to invite all concerned to join in organising a local response to the challenge faced by the schools. 28. The action already taken in the fields of science, mathematics and modern languages is described in paragraphs 63-66 and 87-91. An early priority within the English programme will be to identify and put in hand whatever development work, relevant to the needs of the young school leaver, can usefully be undertaken while awaiting the results of basic research. The Council has also heard with interest that those concerned with the teaching of craft subjects are discussing the possibility of asking the Council to sponsor a development project. 29. The Council has, however, identified as one of the most pressing needs a re-appraisal of what is offered to the young school leaver under the general heading of the humanities (traditionally, English literature, history, geography and religious education, but also topics from the newer fields of economics, psychology, sociology and anthropology). There is wide agreement that the study of Man and of human society is of the first importance in the education of the older secondary school pupils. There is equally considerable uncertainty both about content and treatment. therefore, the extra year means much more than one more year of secondary education. It offers the opportunity to think out afresh a five-year course which will have regard to, and take full advantage of, the fact that the personal maturity of a leaver aged 16 is much greater than that of one aged 15. 31. The problems are, however, of considerable difficulty, and there is no consensus on aims and methods readily available which might provide a basis for immediate curriculum development on the Nuffield model. There is first, therefore, need for thought and experiment by many different teachers, working in all parts of the country. Accordingly, the Council proposes to invite the local education authorities to consider helping such work, mainly by establishing and supporting local development centres for the leaving age programme. And, for its part, the Council intends to supply starting points for local thought and innovation partly in the form of papers for discussion, partly (where desired) by personal visits from Council staff, and partly by acting as a clearing house for ideas and information drawn from both local and central sources. 32. At the same time, however, the Council has decided to offer its full support to a preliminary study, financed and organised by the Nuffield Foundation, to discover whether there are forms of help which teachers would value, and which might be made available if a team of teachers were to be employed full-time for the purpose. The results will be published, since they are likely to be directly useful to local development centres, as well as providing a basis for judging whether organised curriculum development would be helpful. 33. The Council's third major study concerns the future development of sixth form -curricula and examinations. Like the leaving age programme, it also consists of two parts. First, the Council has put in hand a series of factual enquiries about the changing character of the sixth form. Secondly, the Council has given preliminary consideration to a possible new pattern for sixth form courses which, if generally agreed to be feasible and desirable, would enable schools to construct curricula from a range of major and minor examined courses, together with an allocation of time for non-examined (but possibly accredited) general studies. The Council is not, however, committed to the new pattern. The possibilities will first be discussed with the newly constituted Standing Conference on University Entrance. If they are then thought to merit further development, a full account of the Council's preliminary thinking will be made generally available in the Working Paper series, and public and professional discussion will be invited. 34. The broad purpose of the enquiries is to obtain information about the changing character of the sixth form, including the changing needs and expectations of pupils, parents, teachers, employers and of higher education and professional bodies. This information will be used as a guide to the Council in suggesting the lines along which new courses and new examinations might be developed. It will also be made generally available for discussion and as a basis for experimental work by schools, examining boards and others. 36. Work has already started on most of these enquiries, some of which are common to all three major programmes. For example, the enquiry into the attitudes of pupils, teachers and parents being conducted on the Council's behalf by the Government Social Survey is designed to meet the needs of the sixth form programme and English project as well as those of the leaving age programme. This survey, and the map of available data which the National Foundation for Educational Research is producing for the Council's use, are described in paragraphs 22 and 21 respectively. 37. Another important enquiry common to all three major programmes is the sample survey of the content of secondary school curricula being conducted by the Department of Education and Science with the Council's support. This is designed to produce information about the contemporary pattern of curricula and courses offered at different levels of age and ability in secondary schools of all types, together with information about the numbers and qualifications of the teachers engaged in providing the different courses. Information of this kind is urgently needed, both to inform the discussion of possible new curricula patterns, and to assist those responsible for planning the supply and training of teachers. 38. As with its other major programmes, the Council has decided to publish details of its sixth form enquiries, and of the information flowing from them, as early as possible, to facilitate discussion as the work proceeds. Further details of the research and enquiry which form the first part of the sixth form programme will therefore be published as a Working Paper probably early in 1966, and other publications will follow. The Council hopes to be in a position to publish a report on the sixth form programme as a whole in the course of 1967. 39. 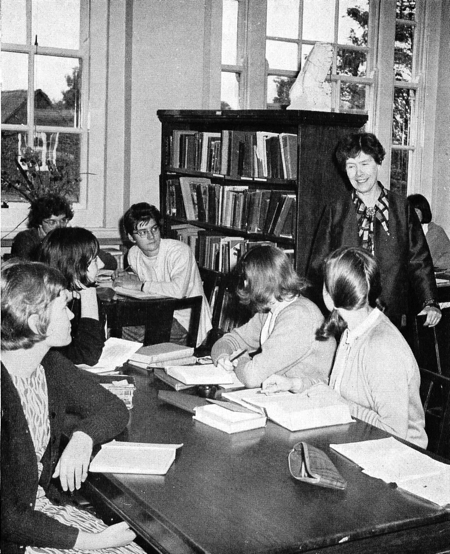 In the autumn of 1965, the Council will begin discussions with the Standing Conference on University Entrance on possible changes in the pattern of sixth form courses, to the extent that these affect the universities. 40. Meanwhile, in its preliminary thinking, the Council has been concerned to explore ways of helping the schools to construct sixth form curricula suitable for a widening range of individual needs. On the one hand, it is necessary to meet the sixth form requirements of those who are seeking entry to an honours course at a university. On the other hand, provision must be made for the growing number of pupils entering the sixth form, some with C.S.E. qualifications, who have other (and often rather imprecise) objectives in view. And in between, there is a wide range of individual educational needs and of expectations for further education or career. It seems clear, even without extensive factual enquiry, that there are rigidities in the present situation which are making it difficult for many schools to construct the range of curricula now required. 41. There is another reason why greater flexibility is wanted. Much recent debate has drawn attention to the need for a new interpretation of the traditional sixth form concept of ' study in depth' which will better combine its best features with continued education in breadth. It cannot be right to prolong indefinitely a situation in which, for many pupils, education after the age of 15 or 16 is excessively concentrated upon one branch of knowledge or a limited area of human experience. There are many opinions about what should be done and, in the Council's view, the main immediate need is to create greater flexibility for the schools in the construction of curricula, so that a variety of reasonable alternatives can be explored and evaluated. 42. The Council is not therefore considering putting forward anything in the nature of a definitive future pattern for sixth form work. Its concern is rather to explore ways of improving the traditional Advanced level type of sixth form course and of adding to it new courses, both examined and non-examined, which will appreciably increase the ability of the schools to offer curricula better matched to individual and general needs. (c) General studies, requiring about six periods a week for two years, but not assessed (though the accreditation of a school's programme of general studies for purposes of university entrance is a possibility). by carrying a pupil into an allied field of study, contrast with it by offering a field of study outside the pupil's main specialisation, and form an objective in its own fight for some pupils. In practice, it is likely that compromise would have to be accepted, certainly in some subjects, since few schools could organise courses which made full use of aU the theoretical possibilities, and the problems of assessment would be severe. 45. As already noted, it is the Council's intention to publish in the Working Paper series its preliminary ideas for the sixth form study as a whole, after discussion with the Standing Conference on University Entrance. It is also the Council's intention to publish the results of the studies in particular subjects described above. The development of possible new 'courses and examinations in these and other subject areas would follow, in collaboration with the examining boards, if both the Council's general ideas and the results of the studies are well received by the schools, the universities and others concerned. 46. In the meantime, the Council is sponsoring, both jointly with the Nuffield Foundation and on its own initiative, development work concerned with the improvement of courses within the existing pattern of sixth form work. The projects concerned are described in paragraphs 72-75. 47. The Council has also agreed to sponsor, jointly with the Committee of Vice-Chancellors, the development of a scholastic aptitude test for possible use, in combination with other forms of evidence, in the selection of university students, and in improving still further the comparability of the Advanced level G.C.E. examinations of the different boards. A development along these lines was recommended in the Robbins Report, and the Council is glad to be associated with the Vice-Chancellors Committee in following up the recommendation and relating it to the sixth form programme. 48. All the activities of the Schools Council take account of the schools of Wales no less than those of England. But for very many reasons, geographical, historical, social and linguistic, some aspects of education may.need to be looked at differently in each country. There are, also, some matters which affect Wales solely, and exclusively, and yet very significantly. It was for these reasons that the Lockwood working party recommended the establishment of a separate Committee for Wales, which would have as its terms of reference, broadly speaking, those matters which are especially Welsh. The Chairman of the Committee is Professor W. J. G. Beynon, and the Committee has now completed its membership by the co-option of five teachers - two more than was originally envisaged - bringing the total to eighteen and the Chairman. The Committee has its own Secretary and Assistant Secretary, and is able to draw upon all the facilities available to the Schools Council and its several Committees. The Welsh Committee has met three times. It has formed two Sub-Committees; the Primary Sub-Committee has met once, and the Secondary Sub-Committee twice. 49. 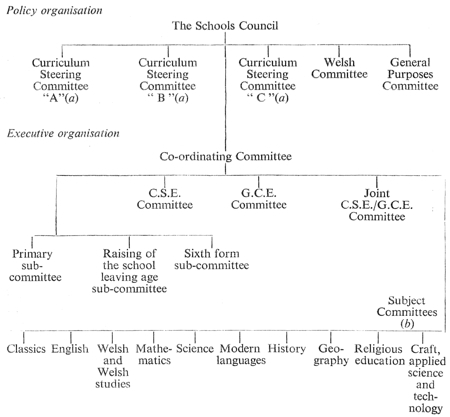 In addition to having their own Committee, the schools and education authorities in Wales are able to participate in the discussions of all the other Steering, Sub-Committees, and Subject Committees in virtue of the fact that at least one member of each Committee represents one or other of the interested parties in Wales. 50. It is inevitable that the attention of the Committee, as distinct from that of its members who sit on other Committees of the Council, should, in its early days, have been directed at those matters which would not command the interest of the main body of the Council, namely the place of Welsh and English as first and second languages in primary and secondary schools, together with the additional complications which arise when French is introduced into Welsh primary schools, as a third language in many cases. (b) an investigation of methods of improving arid extending the contribution of radio, television and other media to the teaching of Welsh and English. (c) an investigation of the implications, sociological, psychological, and administrative,' of introducing a second modern language into primary schools, together with an investigation of aptitude for second and third language learning among children of less than average ability. The Welsh Committee have also started a study of 'Bilingualism in Education' prepared by its Secretary and published for UNESCO. Through the Chairman of the Council, the Welsh Committee hope to invite UNESCO, the sponsor of the International Seminar on Bilingualism in Education held at Aberystwyth, to implement the seminar's recommendations for research relevant to Wales. 52. The differences between Wales and England affect not only the content of the curriculum, but the organisation of the schools, primary and secondary, as well. The foundation of the former Intermediate Schools has ensured a long tradition of maintained secondary grammar education in Wales, while the acknowledged and traditional interest of Wales in academic education has produced differences in the ability range and social composition of such schools, both in the main school and the sixth form, as compared with the position in England. For these and other reasons, already mentioned, enquiries about secondary schools, the problems likely to arise when the leaving age becomes 16, the relevance of the humanities in Wales, and the whole set of enquiries relating to the sixth form need to be modified, in the view of the Welsh Committee. Many of the differences and modifications of approach can be dealt with when the general investigations for England and Wales are set on foot, provided, as the Committee hope, sufficient attention is given to schools in Wales to ensure that the amount of Welsh evidence is satisfactory, and the sample representative. 1. An enquiry into the influence of social and economic factors on the development of the sixth form in Wales at present. This enquiry it is hoped will be undertaken by a research worker. (b) the rate of growth of the sixth form. 3. The incorporation into the England and Wales enquiries of sufficient evidence from Wales to provide for separate treatment of aspects of Welsh education which demand such treatment. 53. The Committee is particularly concerned with the raising of the leaving age. it has accepted a paper which sets out the various aspects of the question in the context of the curriculum of the secondary school over its complete age range. The Committee has asked local education authorities in Wales for their views about the desirability and means of convening conferences with teachers in all areas. All authorities are agreed on the need and, although they differ in their views on the machinery for organising conferences, they are anxious that the conferences should be held as soon as possible. It is hoped that as a result of these meetings the Committee will be able to identify the issues more comprehensively and precisely, leading to a publication in 1966. 54. The Welsh Committee is concerned with ensuring the fullest co-operation with the Welsh Joint Education Committee, which is in a peculiarly convenient position to act as an 'intermediate organisation' in Wales. It already co-ordinates administratively and financially some aspects of local education authority responsibility. It is hoped that the Welsh Committee arid the Joint Committee can act together to inspire and organise locally based developments which the smaller 10001 education authorities, and possibly the larger as well, might not wish to undertake separately and alone. Discussions to ensure that these aims are realised have been initiated. 55. Nearly all the projects described in this section are jointly sponsored by the Council and the Nuffield Foundation. Indeed, it is the action of the Trustees of the Nuffield Foundation in providing pump-priming finance for curriculum development that makes it possible for the Council to report so much work already in hand within the Council's main area of responsibility. Above all, the Council exists to sponsor the development of new teaching aids carried out by and for teachers, and subjected to extensive classroom testing before being made generally available for whatever use teachers wish to make of them. 56. The Nuffield Foundation is of course a wholly independent body, which accords a similar degree of independence of professional action to the teachers and others working in and for its development teams. A close and harmonious working relationship has been established between the Council and the Foundation, broadly on the basis that the Nuffield teams are wholly responsible for the development of teaching materials, while the Council, apart from acting as one among a number of sources of advice available to the Nuffield teams, provides field services (e.g, arranging for volunteer schools and local education authorities to tryout the Nuffield materials; arranging courses and conferences) and evaluation. This division of responsibility is working well, and the Council wishes to record its debt of gratitude to the Nuffield Foundation both for its generosity in financing development teams and for its willing collaboration with the various agencies of the education service which the Council represents. 57. The main object of the linked projects in junior mathematics and science is to build on the recent, and very promising, work of a number of primary schools in all parts of the country in teaching young children science and mathematics through a 'discovery' approach to learning. The idea is to create learning situations in which children, using familiar materials and experiences, discover for themselves the basic concepts and methods of science and mathematics. It follows that the work does not include anything in the nature of a text-book; the aim is to produce teachers' guides - almost 'do-it-yourself' manuals - so that teachers who are not acquainted with this approach can try it out for themselves. the Nuffield Foundation: the Nuffield Mathematics Project under the direction of Dr. G. Matthews, of St. Dunstan's College, Catford, and the Nuffield Junior Science Teaching Project led by Mr. E. R. Wastnedge, until recently at Kesteven College of Education. The first teachers' guides prepared by these writing teams were distributed to the pilot schools in the summer of 1965. Further teachers' guides and other course material will be following as they are prepared. 59. The Council organised extensive in-service training for organisers and selected teachers from the pilot areas during 1964-65. Two introductory courses were held for those responsible for the project in eachá area in the winter of 1964. In 1965, about 15 teachers from each pilot area attended one of a series of central project courses run jointly by members of H.M. Inspectorate and the Nuffield project teams and devoted to demonstrations of the new material and teaching methods suitable 'to it. In most areas, part-time local in-service training courses had been established during the year, led by the teachers who had attended the ácentral project courses. The local education authorities had also, as part of the project, established teachers' centres in the pilot areas, to form the focus of the project and the venue for in-service training for the participating teachers. It is hoped that, in the course of time, these local centres will form the nucleus of primary curriculum centres, at which all aspects of the primary curriculum will be discussed and where experiments, development work and other similar activities will be carried on by local teachers. The centres are generally equipped with one workshop room, for practical work and demonstration ; and a second room equipped for discussion groups, showing of films, and similar purposes. 60. To support the in-service training programme, the Council published in May 1965 the first of its series of Curriculum Bulletins - ' Mathematics in Primary Schools' - of which the principal author was Miss E. E. Biggs, H.M.I. The Bulletin was very well received by teachers and other educators and it is hoped that it will prove of particular value to the teachers who are participating in the projects. 61. In addition, the Council sponsored, jointly with the Department of Education and Science, a half-hour colour film 'Maths Alive' on the teaching of primary mathematics, using the ' discovery' approach. Again, the thought behind the film is principally that of Miss Biggs. 62. The Council approved proposals for carrying out an objective evaluation of the mathematics project. It agreed with the Nuffield Foundation that Mr. T. M. Murray-Rust, H.M.I., who will be retiring from the Council's staff this autumn and will be employed by the Nuffield Foundation as a member of the Nuffield Mathematics Project, should be engaged by the Council to prepare non-conventional tests and other trial material for evaluation under the general direction of the Council's research team. Initial trials of these tests will be made this winter in schools in the 'consultative' areas. These are four areas which have already had considerable experience of the 'discovery' method of teaching primary mathematics. 63. Furthermore, as part of its school leaving age programme (see pages 4-7 earlier), the Council called for proposals for the development of courses in mathematics appropriate to the young school leaver. 64. When it was learnt that the Nuffield Foundation did not propose to continue development work in mathematics beyond their present commitment (the preparation of materials for the 5-13 age range), the Council decided to commission a study, suitable for publication in the Working Paper series, from Mr. Philip Floyd, principal lecturer and head of the department of mathematics at Rolle College, Exmouth. It is hoped that Mr. Floyd's study will be ready in about a year's time, in September 1966. It will take into account the work of the Nuffield primary mathematics development team led by Dr. O. Matthews, and the other teams based at Southampton and in the Midlands. 65. The Nuffield Foundation have already launched a project in science for the benefit of pupils of average and below average ability. To provide a starting point, the Foundation commissioned an outline study, written by Mr. L. O. Smith (until recently a member of H.M. Inspectorate) with the help of a group of H.M. Inspectors. This study, which was published by the Council in April 1965 as the first in its series of Working Papers ('Science for the young school leaver'), is an exploratory outline of the type of course which might be suitable to the aptitudes and interests of the slower learners. The themes suggested are no more than first thoughts, and the course materials which will ultimately be produced will be the product of many different minds brought to bear on the problems involved. The development team, led by Mrs. Hilda Misselbrook, recently deputy head of Mayfield Comprehensive School, Putney, has already started work; and it is clear that the preparation of materials suitable for the young school leaver will be a considerable task, likely to require many years' work. .
66. At present, field trials of the first materials are envisaged as beginning in schools in September 1967. It is expected that Colleges of Education will be associated with these trials from an early date so that the problem of providing suitably trained staff to use the materials in the schools concerned will be tackled in, good time. 67. The Nuffield development project designed to produce new materials for the teaching of science to the ordinary level of the O.C.E. examinations was started before the more recent co-operative arrangements with the Council were established. For this project, therefore, the Foundation made their own arrangements for trying out the materials in volunteer schools. 68. It was agreed with the Nuffield Foundation at an early stage of their educational programme that evaluation and in-service training were essential concomitants of development work, but that responsibility for them should rest with agencies other than the Foundation itself. The new 'O' level science materials have now completed all their trial stages and are likely to be ready for publication in April 1966. Although further revision of the materials is now impracticable before publication, evaluation is needed to provide a basis for their continued development. Preparations are therefore being made, in conjunction with members of the Science Committee, to design a series of evaluation studies to be commissioned, and the results ultimately published, by the Council. March to offer help to local education authorities and others wishing to organise local or regional conference / courses. The Council wrote to all authorities describing the type of introductory course which experience had shown to be suitable, and offered to act as a clearing house for the supply of teachers. who were already familiar with the materials through participation in the development stages and who could therefore act as course tutors or leaders. The Council further offered its good offices in arranging joint courses for the benefit of those authorities which were not large enough to provide separate courses of their own. 70. In addition, the Council and the Nuffield Science Teaching Project arranged with certain Colleges of Education and university departments to provide a number of term-long courses to add to the supply of trained course leaders for local or regional courses. Six of these term-long courses will take place in the first week of January, 1966. 71. From the responses received so far by the Council from local education authorities, it seems likely that over 90 courses will be mounted locally between spring and autumn 1966 and that over 3,000 science teachers will be taking part. The total number may ultimately be well in excess of this. 72. Early in 1965, the Nuffield Foundation announced their intention to carry forward to 'A' level their development programmes in 'O' level science teaching materials. They indicated to the Council that, before embarking upon the work in detail, it would be of great benefit to them if a conference could be 'held of leading teachers and others to exchange opinions about the form and content of science courses in the sixth form. 73. The Council accordingly sponsored a conference of representatives of schools, universities, colleges of advanced technology, industry, colleges of education, local authorities and other interests, to discuss this area of the curriculum in general, and also the particular proposal that a new course in physical sciences (sometimes discussed under the title 'The structure and properties of matter ') should be developed separately, to include certain topics common to advanced courses in both physics and chemistry. 74. The discussion at this conference, together with supplementary notes on action subsequently taken is being published by the Council as Working Paper No.4: 'Science in the sixth form '. 75. The Nuffield Foundation have since announced their intention to develop courses up to 'A' level in physics and chemistry, in physical science and in biology. It is hoped that the first extensive field trials of these materials will be made in September 1966. Learning by discovery. 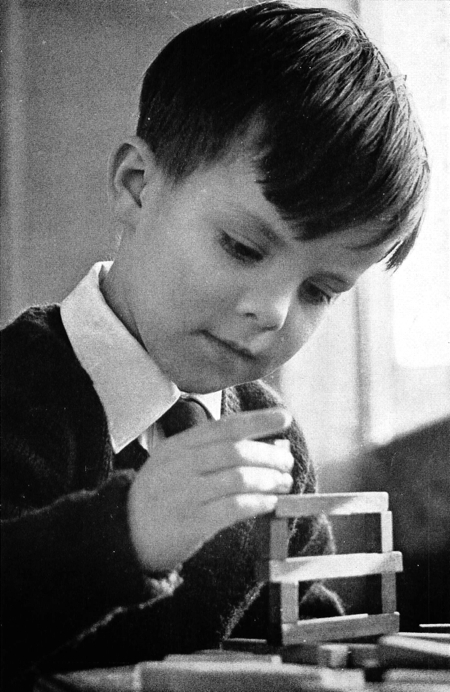 An infant pupil begins, by 'doing it himself', to understand mathematical shapes and relationships (see paragraphs 57-58). Development work by teachers. This primary teachers' centre at Yeovil, Somerset, set up by the local authority as part of the junior mathematics project (see paragraph 59), has a practical work and demonstration room - top picture - and a discussion room. French in the primary school. A pilot scheme for teaching French to juniors, using both new materials and familiar teaching situations, like the shop illustrated, is now well under way (see paragraphs 79-86). The needs of sixth formers. Interest in general studies is steadily growing, and the place of such work in the sixth form of the future is being explored by the Council (see paragraphs 39-47). that a pilot development project should be mounted by the Council, and the proposed project was generally approved. A further conference was subsequently held, in association with the Institution of Mechanical Engineers. The Institution themselves have independently sponsored this year a survey of the extent of engineering activities in schools; it was carried out for them by the education and training editor of Engineering, Mr. G. T. Page. The conference provided an opportunity to discuss Mr. Page's report and to obtain the views of the profession and higher education on the follow-up work recommended in the report. The Council also heard opinions about the proposed pilot project. 77. In the light of this conference, it is hoped that the pilot project will be launched in 1966, and last for about a year. If the experience gained with the pilot project warrants it, a full-scale development project will be launched subsequently. 78. As with other projects, it is planned to publish a supporting curriculum bulletin. For this purpose, the research work conducted by Mr. D. I. R. Porter, H.M.I., as Simon Fellow of the University of Manchester on the history of technical education in Britain and the present state of engineering activities in schools precisely fills the needs of the project. It should be available to the Council for publication as Curriculum Bulletin No. 2 early in 1966. 79. The object of the pilot scheme for the teaching of French in primary schools, co-sponsored by the Nuffield Foundation and the Council, is to discover how far, and in what ways, those areas wishing to do so can best introduce foreign language teaching into the primary school curriculum from the age of eight. Evaluation of the consequences of doing so is also an integral part of the project, so that both decisions on the content of the primary school curriculum, and further development of the teaching materials used in the pilot scheme, can be informed by the experience of the pilot schools. 80. Following 18 months of organisation and in-service training for the teachers concerned, the pilot scheme actually began in the schools in September, 1964. About 6,000 eight-year-olds in the 125 primary schools in the pilot scheme, located in 13 pilot areas in England and Wales, began learning French. From the range of audio-visual programmes suitable for young children which have been demonstrated and explained at in-service training courses, the great majority of the teachers (110 out of about 170) chose the new Nuffield course which the pilot scheme is partly designed to tryout. 81. 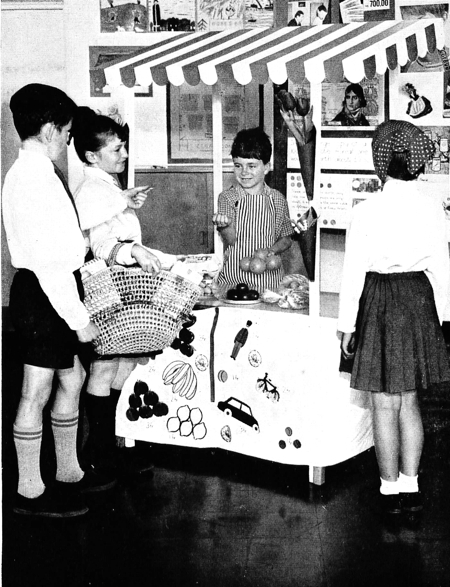 During the school year 1964-65, the Council sponsored three additional courses on methods for the pilot area teachers. This provided an opportunity to compare notes on experience so far, to discuss with the Nuffield writing team led by Mr. A. Spicer the materials in use and those in preparation for the next stage of the course, and to get additional information about supplementary material from H.M. Inspectors in charge of the courses. Council arranged this year for 140 teachers from these areas to attend three-month intensive French courses in France, and for 38 to attend similar courses in London. All these teachers had attended a local refresher course in French for approximately six months before attending an intensive course. 83. The provision of short courses on methods of primary French teaching for such large numbers was found to be beyond the resources of H.M. Inspectorate. The Council accordingly organised a conference in Harrogate in February 1965 at which representatives of all the authorities associated with the scheme were given an outline description of the type of course arranged in the summer of 1964 for teachers in the pilot area schools. Subsequently, the associate area authorities were invited to co-operate locally in sponsoring group courses for their teachers. Six authorities decided that they had enough teachers and enough resources to warrant running their own course. Forty-two authorities decided to join together to provide courses for their teachers, 14 joint courses either having been held or planned by summer 1965. 84. The National Foundation for Educational Research, which had been commissioned by the Department of Education and Science on behalf of the Council to carry out an objective evaluation of the pilot scheme, proceeded with the collection of base material on the general attainment of the pilot school children, and with the arrangement of control groups of schools and classes, during the year. Arrangements have also been made by the Council for a parallel assessment of the scheme to be made by members of H.M. Inspectorate. 85. In February 1965, the Council circulated a questionnaire to all local education authorities about the extent of French teaching in their primary schools. The principal object of this enquiry was to establish the extent of the need for intensive in-service training courses in French, both in France and Britain, for a planning period extending to 1970. But it is hoped that the information from the enquiry will also throw light on a number of other aspects of primary French teaching about which information has hitherto not been available. 86. The present pilot scheme provides for the teaching of French to the pupils in the pilot areas for a five-year period, up to the age of 13. The Council has considered the question of providing courses suitable for pupils who have participated in the scheme to enable them, if they wish, to study French up to the age of 16. This question is related to development work in modern languages as part of the Council's programme of activity in preparation for the raising of the school leaving age (see pages 4-7), and is described as such ill the following paragraphs. action was likely to be necessary was that of the secondary schools which at present did not teach any modern language. The Council therefore undertook to investigate the implications of providing for modern language teaching in any school which wished to do so, and it instituted an enquiry, which will be sent to a sample of schools this autumn, to find out how many schools were in this category. 88. In addition, the Council took note of the need to provide for the requirements in modern languages of those pupils who will in 1969 have learnt French for five year from the age of eight in the pilot and associated areas of the primary French project. The Council therefore decided to launch a second enquiry to find out from the schools at present teaching one or more modern languages what they would like to see included in modern language courses for pupils finishing modern language study at 16, and particularly what they felt should be included in the last three years. 89. A third enquiry was requested into the standards reached in the comparatively few schools which have attempted to teach a modern language to their less able pupils. 90. Simultaneously, the Council's staff were asked to make a preliminary examination of existing audio-visual courses so that, in the light of the information derived from the enquiries and this study, it would be possible to put before the Council proposals for development work in modern languages in secondary schools. In this connection it should be noted that the Nuffield Foundation, whose Trustees will have invested over one third of a million pounds in courses in French, German, Spanish and Russian, do not feel able to make any further outlay in this field. It will therefore fall to the Council to take over where the Foundation have left off. Since the financial basis for the sponsorship of work on this scale by the Council is not yet assured, the Council made preliminary soundings of the Committee on Research and Development in Modern Languages as to their likely attitude towards sponsoring a development project if the outcome of the enquiries pointed to the need for one. The Committee's provisional reply to this approach was favourable. 91. With the establishment of the subject committee in modern languages, it is hoped thatá the formulation of proposals for development, subject to the outcome of the enquiries, will be carried through as quickly as possible, so that the aims, in terms of materials available to teachers, will be realised in good time. 92. Prospective curriculum development work in English has already been discussed in the report on the English programme in the preceding section Major programmes of work, beginning on page 3. 93. For a discussion of curriculum development in the humanities and their place in an extended secondary school course, the reader is referred back to paragraphs 27-32 of the report on the major programme Preparations for the raising of the school leaving age, starting on page 4. 95. It has to be recognised, however, that many of the new approaches now being developed have aims which make evaluation difficult. In the present state of knowledge, it is less easy to evaluate how far a new approach has encouraged the development of certain attitudes of mind, or methods of thought, than to say how far the pupils have acquired skills or factual knowledge. It follows that those responsible for evaluating current projects of curriculum development are likely to be involved in exploring methods of evaluation as much as, and perhaps more than, conducting an actual evaluation. 96. To assist them in this difficult work, the Council has therefore appointed a working party under the chairmanship of Professor Wiseman of the Manchester University School' of Education to study techniques of curriculum evaluation and, it is hoped, to make generally available through the Curriculum Bulletin series a compendium of available knowledge drawn from sources both at home and overseas. 97. On its establishment in October 1964 the Schools Council undertook, by delegation from the Secretary of State for Education and Science, the central co-ordinating functions in the field of secondary school examinations previously delegated to the Secondary School Examinations Council. But it also assumed a wider, and ultimately more important, role in relation to the assessment of educational attainment. This is to secure a happier marriage than in the past between the actual work of the schools - which must constantly develop in response to new needs and new insights into the learning process - and the examinations which, in the process of assessing that work, can all too easily stand in the way of necessary innovation. Indeed, one of the factors leading to the establishment of the Council was the growing realisation that its predecessor, the former Secondary School Examinations Council, could not be expected to achieve a sensible relationship between curricula and examinations within terms of reference which prevented it from viewing both as inter-related parts of a single whole. 98. It will take time to achieve the Council's broader aim. If the schools are to respond to the needs of individual pupils, and to the changing social and economic needs of the community, they require freedom to innovate and to adapt. But the users of examination results - the universities and colleges, professional bodies, commerce and industry, indeed the candidates and their parents - need order; they need to be assured that the examination results flowing from different schools and different examining boards convey meaningful, and reasonably comparable, information about pupils' achievements so far, and about their potentialities for the future. 99. The main task of the Council is therefore to assist in achieving a new reconciliation of freedom and order, capable of regular adjustment as circumstances change, so that the necessary freedoms of the schools are secured without damage to the equally necessary confidence which should attach to the honesty and fairness of the results of achievement examinations intended to possess national validity. 100. It is in this spirit that the Council has undertaken responsibility for coordinating the G.C.E. examinations. Perhaps the most pressing problem, at both levels of examining, is to find a way of developing new arrangements such that, within a pattern which commands the general confidence, there is scope for constant innovation, both in syllabus content and in techniques of examining, in response to new needs and insights recognised as valid by the teachers themselves. 101. There is no simple answer, and the Council has therefore sought to proceed by stages, continuing existing arrangements while new possibilities are explored and discussed. Moreover, the fact that the Council is engaged upon the major study of sixth form curricula and examinations described earlier in this report has made it undesirable to introduce partial and piecemeal changes at the Advanced level of the G.C.E. examinations. 102. One important change was however decided during the year. Relationships between the G.C.E. examining boards and the former Secondary School Examinations Council were never wholly satisfactory. In particular, the boards disliked the obligation to submit new syllabuses to the scrutiny of central Subject Panels upon which they were not represented. This is to be changed. The Council has decided that its new Subject Committees should discharge their responsibilities towards the Advanced level examinations on the advice of sub-committees upon which all the boards will have representation. The expectations, among others, are that this will substantially reduce the time needed to introduce new syllabuses, and will help forward the co-ordination of developments in the allied fields of curriculum and examinations. 103. Other possible changes in arrangements were discussed during the year. Apart from the major review of the matter of sixth form curricula and examinations, the future development of the Ordinary level G .C.E. examinations, and their relationship to the C.S.E. examinations, were under review by the Council's joint G.C.E./C.S.E. Committee; its recommendations are likely to be made late in 1965 or early in 1966. As noted earlier in this report, the Council has also agreed to sponsor, jointly with the Vice-Chancellors' Committee, research into the possible uses of a scholastic aptitude test, both as an element in university selection and as a means of assisting the G.C.E. boards to improve still further the comparability of Advanced level G.C.E. results. 104. In the meantime, the Council has continued the traditional co-ordinating and advisory functions of its predecessor, the Secondary School Examinations Council. All seventeen Subject Panels of the S.S.E.C. continued to function during 1964-65, while new Subject Committees with wider terms of reference and membership were being constituted. The panels recommended approval of 43 new syllabuses, including a larger number than usual submitted by individual schools; evaluated samples of scripts from over a hundred separate examinations; held a number of meetings with the examining boards; collaborated with the boards in the growing volume of research and development which the boards are initiating; explored possible new procedures for coordinating standards; and contributed generally to the Council's thinking about possible future developments. The Council is grateful to the members of the Subject Panels for their willingness to maintain the momentum of this work while the necessarily lengthy process of constituting their successor Committees of the Council was undertaken. cautious optimism about the fundamental soundness of the principles upon which the C.S.E. system is based. 106. These are to attempt a new reconciliation of freedom and order by placing upon the teachers themselves full responsibility for syllabus content and methods of examining, but within a framework of discussion, guidance and information which recognises that a national system of assessment must be, within reasonable limits, genuinely national in its descriptions of the content and calibre of attainment. 107. The Council's main role has been, and remains, to assist in organising the necessary framework within which the teachers, whether serving on the C.S.E. boards or conducting C.S.E. examinations within their own schools, can understand and take into account the national implications of their examinations work. This, for example, is the purpose of the experimental procedure, operated jointly by the Council and the National Foundation for Educational. Research, which supplied the nine boards offering examinations in 1965 with information, relevant to six main subjects, about the probable distribution of the calibre of their candidates on a national scale of assessment. The boards were invited to consider this information, along with the evidence of attainment arising from the C.S.E. examinations themselves, when making their decisions on grades. 108. At the same time, they were specifically asked to back their own judgment, since the information supplied by the Council, like all information in the field of educational assessment, can possess only partial reliability and validity. The success of the procedure will depend on the willingness of the boards and the teachers to accept that the evidence of the examinations similarly possesses only partial reliability and validity, and that a pooling of different forms of evidence, honestly evaluated by the teachers themselves, provides the best hope of reconciling freedom and order in a manner satisfactory both to the schools and to the users of examination results. 109. The 1965 procedure was no more than a first attempt at solving a different problem. It is now important that methods, including possible alternatives to that used in 1965, should be further developed by collaboration between the Council and the boards. The Council has therefore decided to prepare and make available a full report on the 1965 procedure, to serve as a starting point for this collaboration process. As this cannot be done until late in 1965 or early in 1966, the Council is also collaborating with the National Foundation for Education Research in developing the 1965 procedure for use with the 1966 examinations, taking into account the experience gained in 1965. 110. During the year the Council has sought to support the work of the boards in other ways. The series of advisory Examinations Bulletins begun by the Secondary School Examinations Council has been continued. The titles already published, and those in preparation, are listed elsewhere in this report. They include a welcome growth in the number of Bulletins which describe experimental work initiated by the boards themselves, with the support of Institutes of Education. 111. The Council's C.S.E. Committee has also been much occupied with negotiating on behalf of the boards, and with the help of the Department, arrangements which will extend the number of national users of the C.S.E. examinations. Already, an impressive list of users has accepted the equivalence (for their purposes) of a Grade 1 Certificate of Secondary Education with a pass at the Ordinary level of the G.C.E. examinations. But other national users are constantly entering the field, including some who are showing interest in making use of C.S.E. grades other than Grade 1. Much remains to be done to establish the national currency of the examinations, but it is satisfactory that so much has been achieved before the award of the first certificates. 112. Finally, the Council has been concerned to establish sound working relationships with the boards, and proposals to this end were prepared for discussion at a Conference on the C.S.E. Boards held in October, 1965. It is vital to develop a genuine sense of partnership in a common enterprise, and to avoid all sense that the Council and the boards occupy separate camps. The two sets of functions are complementary, not competing. 113. During the year, the Department of Education and Science issued a memorandum proposing an earlier annual date for the' G.C.E. examinations in the hope that, if this were adopted, it would lend some encouragement to the staggering of holidays. The proposals, while envisaging no change in the date of the C.S.E. examinations which take place in May, suggested that the G.C.E. examinations should be held at the end of the spring term instead of the summer term as at present. 114. The Department's memorandum was sent for comment to the teachers' and local authority associations- and the Schools Council was asked, in addition to sounding out its member interests, specifically to obtain the views of the C.S.E. and G.C.E. examining boards. 115. In the light of the comments received, which in general were not enthusiastic about the proposed change, the Co-ordinating Committee of the Council took the view that the Whole question of examination dates and their effect on holiday patterns and school organisation needed further consideration before a decision to alter the present arrangements was taken. It was hoped that further consultation would embrace all interested parties, both within and outside the field of education, and would possibly take the form of a widely based working party. There was a strong feeling that the staggering of holidays was unlikely to be achieved simply by advancing the date of the G.C.E. examinations and that some changes in the holiday customs of industry and commerce were equally necessary. 116. The Council is not a research agency. Its main raison d'etre is to assist the development, by and for teachers, of practical aids to good teaching, tried and tested in many different classrooms before they are made generally available, But research, of course, is an important source of the insights which made for successful development work, and the Council has functions, particularly in the fields of secondary school examinations and curriculum evaluation, which require the support of research and the use of research techniques. The Council also sees one of its functions as interpreting research for the benefit of teachers and others, some of whom may find the unfamiliar language and presentation of research an obstacle to understanding its practical applications. 117. The Council is therefore a major user of educational research, and it notes with pleasure the impressive volume of work within its field of interest assisted financially by the Department of Education and Science, and listed in the Department's recent publication' Educational Research' (Education Information No.2, February 1965). 118. The Council's own policy in assisting research is necessarily more limited. In the main, work is sponsored only for the immediate and practical purposes of the Council's own programmes of activity, partly to provide technical support for development work, and partly to supplement what is already known in areas where development work is being undertaken. 119. Some of this work is carried out by the Council's own research staff. But the main task of the research staff is to assist the Council to identify its research needs, to advise the Council on the research agency likely to be able and willing to meet them, and to assist in the commissioning of the work and in the identification of the operational uses of the results. 120. Most of the research commissioned by the Council during the academic year 1964-65 has therefore been listed under the developmental programmes to which it relates. Other projects include assistance to the National Foundation for Educational Research to cover the costs of analysing the data for England and Wales arising from an international project to compare achievement in mathematics; assistance to the Inner London Education Authority to provide data of value to the Council's study of sixth form curricula and examinations; assistance to the School of Education of Manchester University for a group research project in examining techniques, with particular reference to the C.S.E. examinations; a preliminary study towards an evaluation of the initial teaching alphabet, undertaken at the request of the I.T.A. Foundation; and the preparation of a Curriculum Bulletin with the title 'Educational research and the teacher'. English programme include a number of projects of this nature. The Council's policy is rather to define those areas of development work for which the need appears to be most urgent; within those areas to make the fullest possible use of research already undertaken; but to be ready to fill gaps, including gaps, which can be filled only by fundamental research, if the needs of the schools are sufficiently urgent and are unlikely to be met in other ways. 122. Almost as important as the Council's research and development work itself is the communication of its results to the education service in published form. The growing volume of work requiring publication, as well as the need for speedy dissemination, dictated the appointment of a full-time publications officer in mid-June 1965. 123. A list of current and forthcoming Council publications is given in Appendix D at the end of this report. Many publications are also referred to individually on earlier pages in the context of Council projects and programmes of work. To recapitulate, the Council has so far issued work in three publications series: Examinations and Curriculum Bulletins, and Working Papers. Up to the end of September 1965, five Examinations Bulletins (of which the first four were initiated by the former Secondary School Examinations Council) had appeared; another four were imminent; six were in or entering the production pipeline; and another six were in various stages of preparation. 124. Examinations Bulletins are published by H.M. Stationery Office, at prices ranging so far from 2s. 0d. to 10s. 0d., according to length and substance. Apart from Bulletin No. 1 (of which over 24,000 have been distributed, necessitating re-printing), average distribution for the rest has been about 11,000 each, which considering the specialised nature of some of these Bulletins may be considered not unsatisfactory. 125. Only one Curriculum Bulletin was published during the Council's first year, though others are in train. This, 'Mathematics in Primary Schools' has proved highly successful. Though priced at 10s. 0d., the first printing of 20,000 was exhausted within two months of publication (in late May 1965), and a substantial re-printing was put in hand. 126. The Council's Working Paper series is designed to present - speedily and free of charge - interim information and thinking about curriculum development projects at the formative stage and thereby to stimulate new thinking. During the year under review, one such Working Paper - 'Science for the young school leaver' - was produced and distributed on request among secondary schools with accompanying questionnaires, of which the results are now being studied. Demand for this Working Paper (available without charge to anyone interested) had overtaken the first printing of 15,000 by summer 1965, and further supplies were produced. Several new Working Papers, referred to variously throughout this report, were scheduled for early appearance. with more frequent, more informal means of information. These, it is hoped, will not only increase understanding of the Council's function and aims, but encourage the feed-back of ideas and experience from the schools, on which the Council's function and the fulfilment of its aims depend. 128. The Council is glad to place on record its warm appreciation of the action of the Secretary of State for Education and Science in arranging for the Council to be housed in premises of its own at No. 38, Belgrave Square, London, S.W.1. These premises accommodate the whole of the Council's staff, and provide excellent rooms for all Committee meetings. 129. A number of appointments were made during the year, bringing the staffing complement to about 50. The directing team comprises three officers drawn from the local education authority service, H.M. Inspectorate of Schools and the Department of Education and Science respectively, though the first of these will not be in post until about the end of 1965. Other senior and supporting staff are drawn from the teaching profession, the universities, industry, H.M. Inspectorate of Schools and the Department. 130. As recommended by the Lockwood working party, the Secretary of State for Education and Science is responsible for meeting the Council's overhead costs (staffing, accommodation, office and other services). He has also agreed to support financially, within an initial ceiling of £100,000 per annum, research and development work commissioned by the Council; this sum is proving adequate to support the Council's current programmes while they are still in their preliminary stages. 131. For actual development work, involving the full-time services of teams of teachers and other educators to produce and test in the schools practical aids to good teaching, the education service is however still heavily dependent on the generosity of the Trustees of the Nuffield Foundation. This dependence cannot continue indefinitely, and the Council has therefore proposed to its member interests that new arrangements are needed to enable the education service, acting through the Council, progressively to assume responsibility for providing the finance now available from the Nuffield Foundation. These proposals were still under discussion at the end of the academic year. Chairman: Sir John Maud, Master of University College, Oxford. Department of Education and Science: Mr. H. F. Rossetti, Mr. D. H. Leadbetter, Mr. P. Wilson, H.M.I., Mr. W. Ll. Lloyd, H.M.I. Scottish Education Department: Mr. J. S. Brunton, H.M.I. Ministry of Education, Northern Ireland: Mr. A. J. Tulip, H.M.I. Mr. R. W. Morris, H.M.I. Mr. J. G. Owen (appointed, but not yet in post). (b) In addition, a number of Subject Panels of the former Secondary School Examinations Council and the General Studies Sub-committee of the former G.C.E. Syllabus Committee of the S.S.E.C. are continuing to serve the Schools Council as interim subject committees. The objects of the Schools' Council for the Curriculum and Examinations are to uphold and interpret the principle that each school should have the fullest possible measure of responsibility for its own work, with its own curriculum and teaching methods based on the needs of its own pupils and evolved by its own staff: and to seek, through co-operative study of common problems, to assist all who have individual or joint responsibilities for, or in connection with, the schools' curricula and examinations to co-ordinate their actions in harmony with this principle. In order to promote these objects, the Council will keep under .review curricula, teaching methods and examinations in 'primary and secondary schools, including aspects of school organisation so far as they affect the curriculum, and will draw attention to difficulties' arising in these fields which appear to merit consideration by other appropriate authorities. (d) offer advice on request to any member interested and, so far as practicable, to any bodies and persons concerned with the work of the schools. There are three main series of Schools Council publications: Examinations Bulletins (so far, relating to the Certificate of Secondary Education), Curriculum Bulletins (recording developments in curricula and teaching methods), and informal Working Papers (offering suggestions for comment on curriculum development projects still in the formative stage). No. 1. Some suggestions for teachers and examiners. 1963. 140 pp, H.M.S.O. 10s. 0d. No. 2. Experimental examinations: Mathematics. 1964. 36 pp. H.M.S.O. 3s. 6d. No. 3 An introduction to some techniques of examining. 1964. 70 pp. H.M.S.O. 6s. 0d. No. 4. An introduction to objective-type examinations. 1964. 20 pp. H.M.S.O. 2s. 3d. No. 5. School-based examinations: examining, assessing and moderating by teachers. 1964. 30 pp. H.M.S.O. 2s. 0d. Teachers' experience of the school-based examination. Teachers' assessments in rural studies. Instructions to candidates in multiple choice tests. The personal topic in history. No. 1. Mathematics in Primary Schools. 1965. 160 pp. H.M.S.O. 10s. 0d. An introduction to curriculum evaluation. Educational research and the teacher. A school approach to technology. (produced for the Nuffield Foundation Science Teaching Project). 1965. 27 pp. Distributed free by the Schools Council. Raising the school leaving age. Report of the Nottingham University Conference (March 1965) on science in the sixth form. Sixth form curriculum and examinations. 'Introduction to Industry' courses for teachers (in conjunction with the Confederation of British Industry).